Henrdicks is fitted out to the highest possible specification and comes complete with a hard-top convertible roof to help you make the most of all weather conditions. She has twin fridge freezers, an ice maker, a high-powered sound system including bass box, air conditioning and heating throughout, two showers / wash rooms and teak decking in the cockpit. 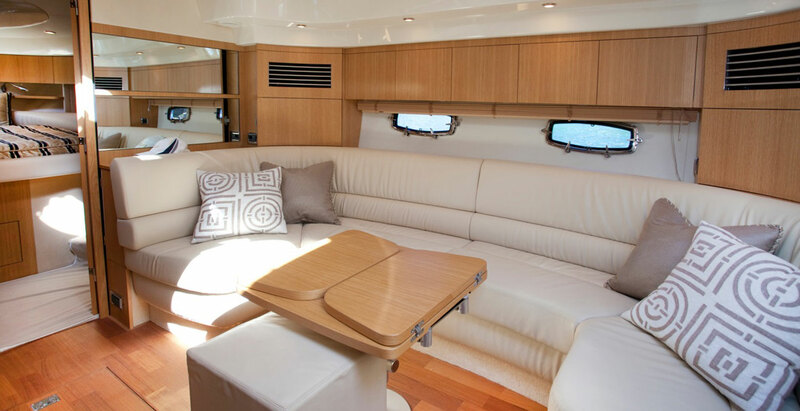 Also included for your comfort are three flat screen TVs and a generous area to socialise below decks. The cockpit is an amazing area for entertaining with loads of seating room and a bar / BBQ area to prepare food and drinks. Down below there are two cabins and a spacious and comfortable saloon area. 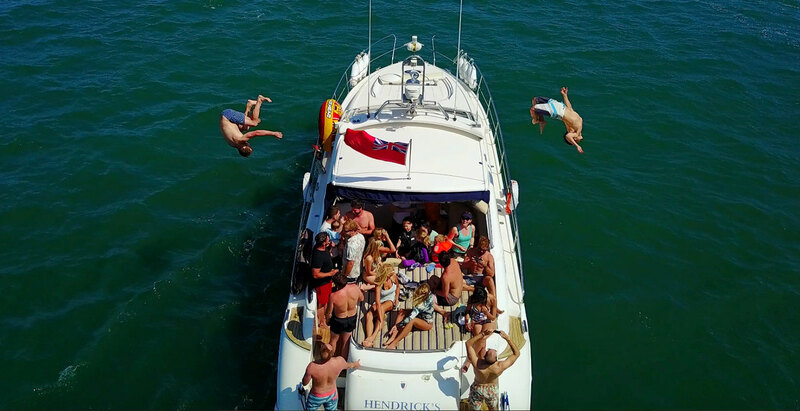 Her deep V hull means that Hendrick’s will cut through the waves regardless of conditions and when the throttles are open and with 1150hp pushing her along she has excellent performance and is capable of speeds of up to 35 knots. Available for day charter only. Please contact us for prices. She is available fully crewed and based in the Solent. Your booking has been completed! Many other single day and multi-day options available - please ask! 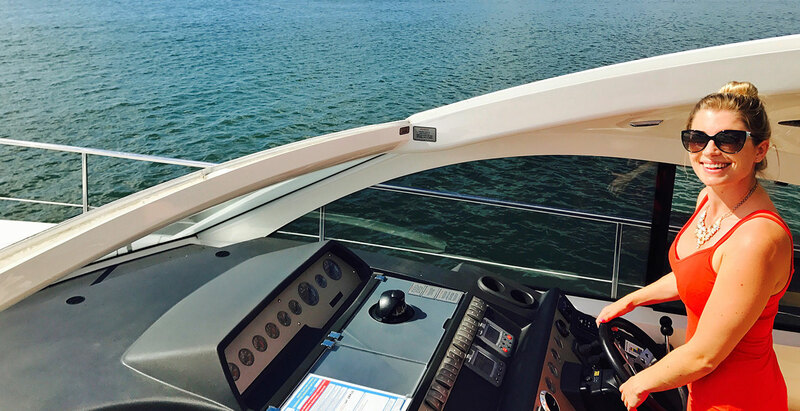 Are you looking for management for your yacht? Give us a call on 023 8045 7110, or send us an email, and we can discuss your options. 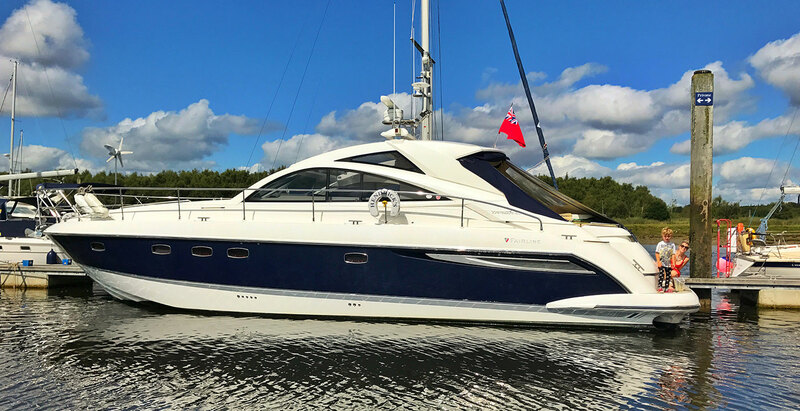 We are currently actively looking for an additional 34' and 37' or 38' yacht. Thank you all for the well prepared Aeolus. Hope to charter her again next Spring and probably this autumn. Hassle-free check-in with adjacent free parking about 50m from the boat so we could start enjoying our accommodation-only 2 night stay. Marina facilities are excellent, the location ultra-quiet at night, the boat was spotless, and essential start-up supplies helpful. We lucked out on weather with sun and shorts at the end of March by the Solent for the weekend. I highly recommend Alex and her boats for a stay on the water. 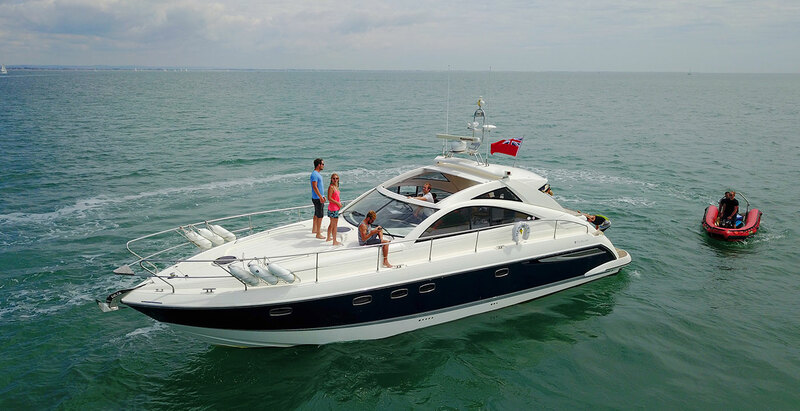 My go to charter company on the south coast for the past 15 years, very professional, their yachts are always well prepared. I'll be back in April and then again in October. 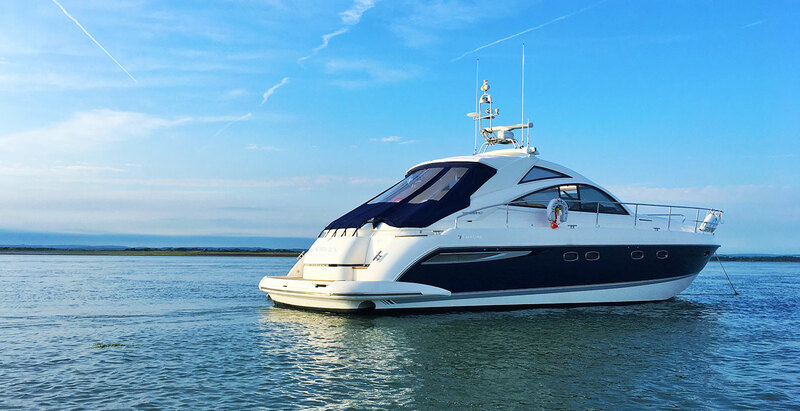 Having a charter option immediately available with Hamble Point Yacht Charters gave our client the confidence to purchase their first yacht. 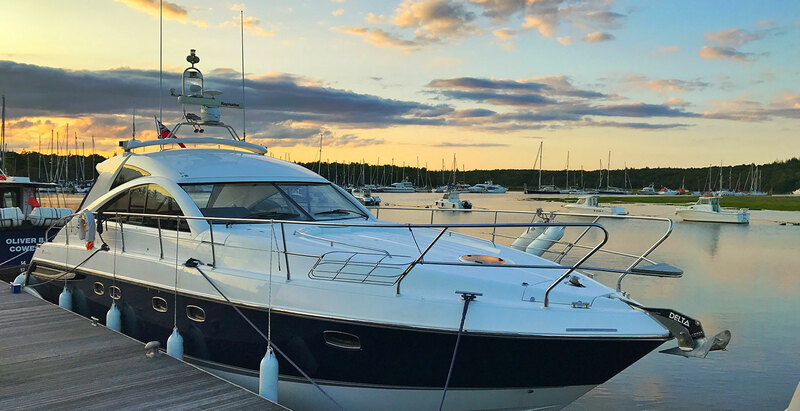 Charter Management reduced the financial risk for the client and I don’t think we would have closed the sale without the client having the reassurance of a charter income. 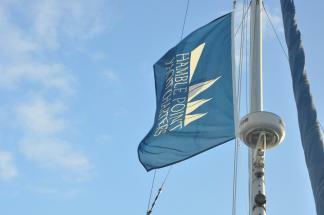 We can recommend Hamble Point Yacht Charters on all points. Marvelous service, good price, great boats. An absolute winner!! Just finished a fabulous week in the Solent with two friends. The chartered boat was in very good condition, considering she was quite elderly. Being the end of the season there were a few scratches on her hull, which were pointed out by the staff. However, the interior and engine were in first class condition, everything was ship shaped and worked. Bembridge then Yarmouth back to Buckler's Hard, finally returning to the Hamble. Winds mainly from either S or N of F3/6, just perfect sailing. Certainly, in the future, hope to repeat this experience with a very well run organised Charter. We charter regularly from HPYC and always find the boats are clean, well maintained and properly equipped. The handover and briefing process is always efficient and thorough so we get away quickly and we know support is available if there are any difficulties. The marina location is also a great plus, giving easy and quick access to the Solent with options to go east or west depending on the tides. All of the team at HPYC are very friendly and helpful and we really appreciate the great service they provide. Very efficient and friendly service, quick and slick handover and return. Communication with Alex was very good, both by telephone and emails. I’d never sailed a Gib Sea 37 before but Viola is quick under sail and motor, very noisy in tick over as was pointed out at the handover but equally quiet with a few revs, in fact almost ‘electric’ quiet one crew member remarked. The heavy kick to port in astern can be used to good effect when close quarter manoeuvring. Plenty of electronics ( I brought charts with me but didn’t need them, the plotter at the helm was great ) All in all, Viola was a credit to you and I wouldn’t hesitate to charter her again... Although I do like the look of the Halberg Rassey on the next berth ! Perhaps next year? Many thanks Alex and the team. We had an excellent weekend on board a 36 ft yacht, Aeolus, chartered from HPYC. 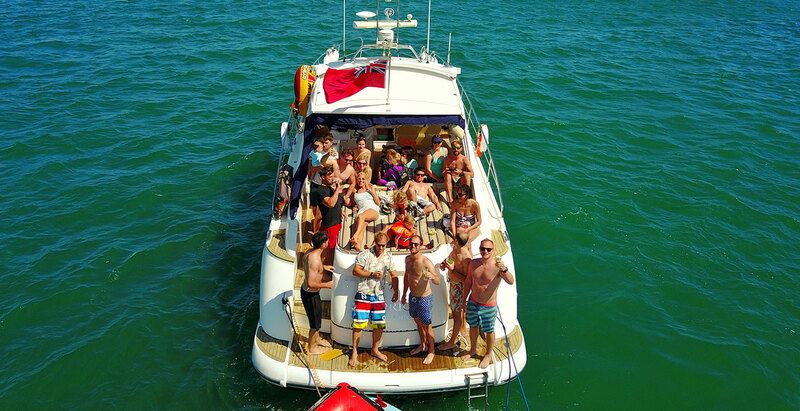 The boat was in great condition, fully equipped with no problems at all, Booking, collection and returning the boat all went very smoothly and the staff were all super friendly and efficient. Hamble Point Marina is also a really nice spot and a great place to start out from. 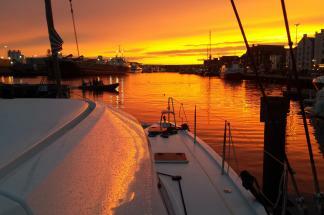 HPYC will definitely be our first choice for our next charter. Had another amazing week sailing thanks to HPYC. The team here are so friendly; Alex, Josh and Dave are a really credit to the business - nothing seems to much trouble and we shall definitely be visiting again next year. Here’s to hoping we have another mid 20’s heatwave.....please. Thank you for the sailing yesterday. Had a great day, the wind was a little light at first but it picked up a bit more in the afternoon. Big shout out to the skipper, Josh , thought he was amazing. Really knowledgable and patient. Made the day funny and educational.